Kitchen fully designed, supplied and installed by ourselves. Tall wall units for maximum storage along with neat infill panels closing this kitchen off at the ceiling for a completed fitted in look. Modern mix of 1 piece shaker style doors and traditional touches make this warm, functional kitchen a great place to cook and dine. For more information on the products used, design created or installation please contact us. 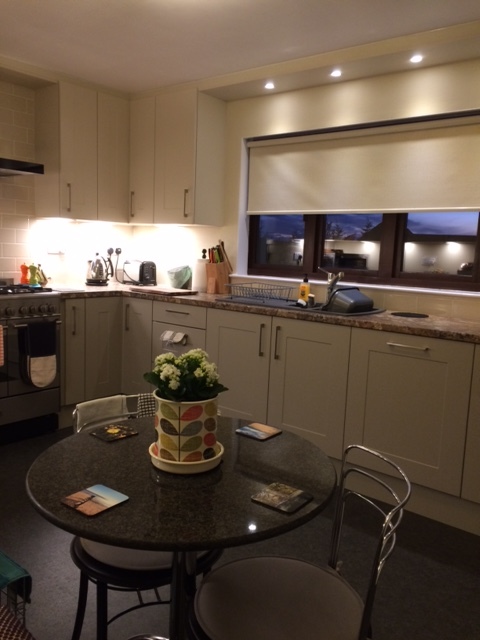 We are so pleased with our new Kitchen and credit goes to yourself and all the team at Affordable Kitchens & Bathrooms. 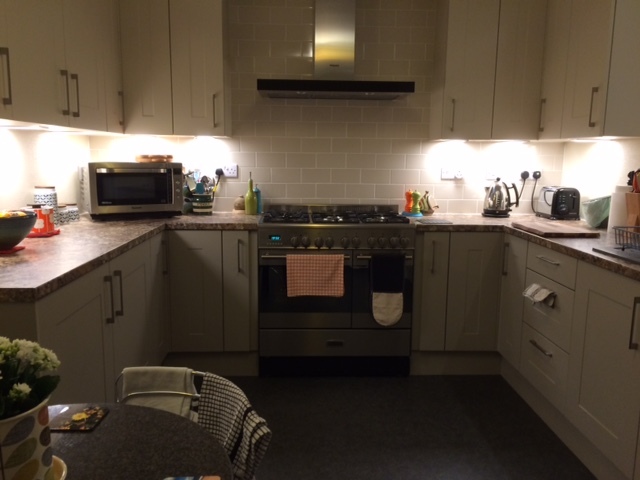 You’re cheery upbeat manner and knowledgeable enthusiasm made the process run smoothly coupled with the team of tradespeople who fitted the kitchen. They were a great bunch and nothing was a trouble to them finishing the project within a week! Please pass on our thanks to everyone involved and Charlotte if you’re passing pop in for a cuppie anytime.